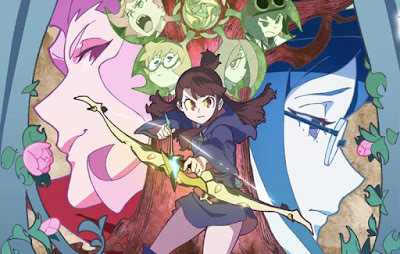 Much belated but with a lot of care gone into the making, we finally rejoin our podcast partners Dynamite In The Brain to relate our shared experiences of the back half of Yoh Yoshinari and Studio Trigger's grand debut on Netflix. It's filled with scheming teachers, inspiring messages and football-induced international incidents, and there's even time for a little game of which witch is which! All good stuff you can discover yourself if you just listen up!